The continuing Diwali festivities. Part 2 – at mom’s place. This is one annual ritual that my mother follows so religiously, of course apart from so many others she does!! Every year one Diwali lunch is a must do with my parents, brother and vahini! 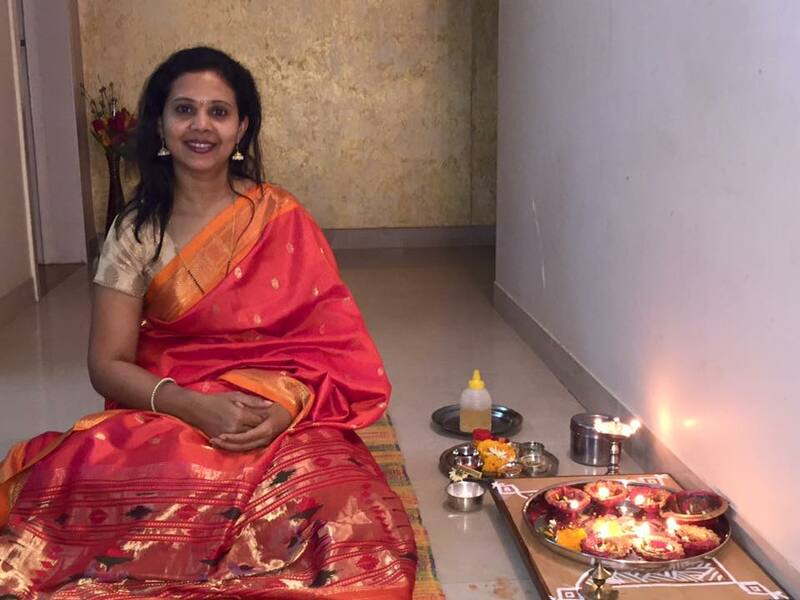 Of course lovely food and ‘faral’, followed by the aarati ritual. Missing my grand parents- they were such an important part of my growing up!! My Ajoba would personally check on me when I would study, sometimes even getting water and food etc for me – my room was on the upper floor. This year was also special since I got a gift from dear hubby as ‘Diwali gift’!!! 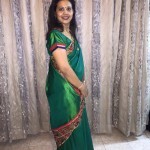 The sarees – a purple pure gadwal saree with mustard zari border and gorgeous pallu, gifted by Mahbubani auntie, it’s a beautiful saree and I love the feel of it!! The orange red paithani, the saree I got engaged in, and my niece said it looked just as new!! Again a lovely drape teamed with a newer blouse (I get into the original blouse just as well 😉). The pink and green, an evergreen kanjivaram gifted byShilpa Laddhaa Bhabi on the occasion of the thread ceremony of my boys. It has beautifully woven motifs all over and a green and zari border! !